If you build it, someone will buy it. Last week, Rolls-Royce joined the masses of luxury automakers wading into the crossover waters. It did so with the Cullinan, a “high-bodied car” that shares a lot with the brand’s iconic Phantom. Now, luxury automakers who begin producing crossovers tend to go all-in on the money-making segment. Just look at BMW and Mercedes. However, others, like Porsche, do show restraint. Now, right now Rolls only has the Cullinan, but what if the company drinks a little too much crossover Kool-Aid? 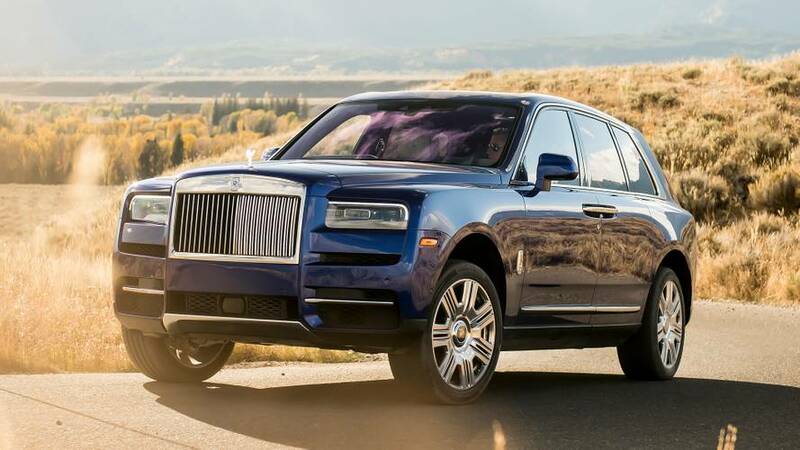 What are some other vehicles based on the Cullinan could Rolls build? Well, X-Tomi Design has a gallery of renderings that are both exciting and, uh, interesting. One, the Cullinan Sport, takes the crossover and lowers it, giving it a far more aggressive stance. Updated is the lower front fascia with a sportier look along with body-color side sills under the doors and darkened window surrounds and grille slats. This looks to be in the realm of possibility. 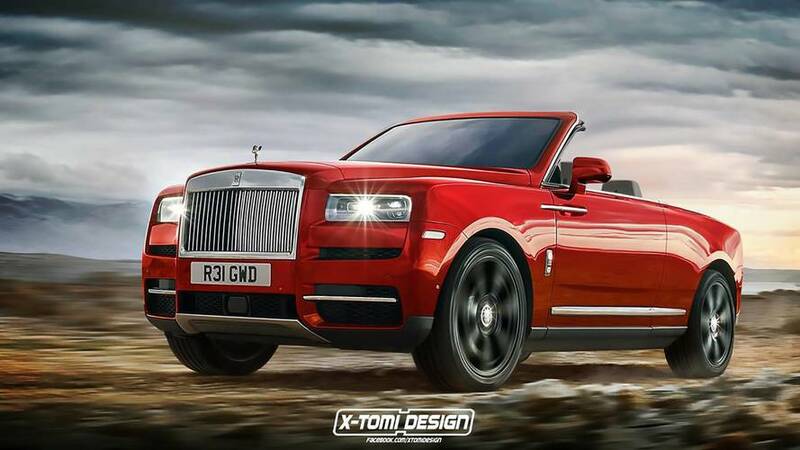 Anyone who follows automotive trends knows convertible crossovers are running loose in the world, and one rendering shows us what a Cullinan convertible crossover could look like. Spoiler alert – it looks like a Phantom Drophead Coupe. There’s probably a market for this somewhere in the world. 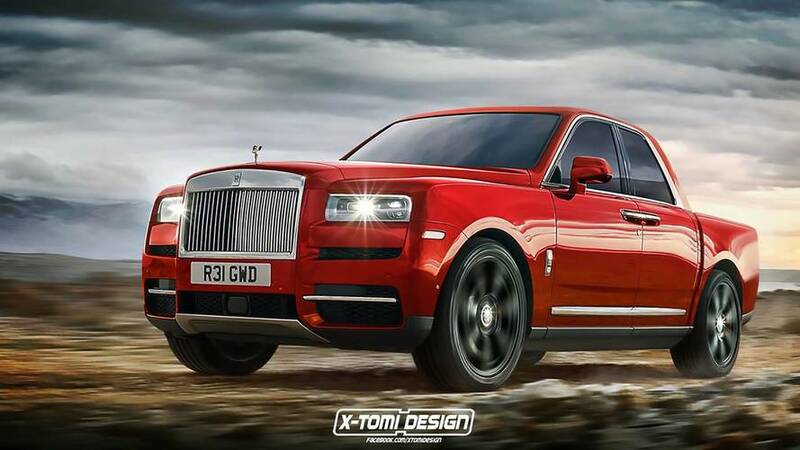 Another Rendering shows a Cullinan Coupe. This makes sense considering there once was a Phantom Coupe, but that car wears the design better. This is where things start to get weird. Along with the Coupe, there’s a rendering for a shooting brake, which looks like an elongated coupe. Then there’s the base Cullinan, which removes all the fancy chrome and replaces it with black plastic. It’s hideous. The steel wheels look neat, though. The front sensors are gone, the mirror caps are black plastic, and the handles are plastic, too. 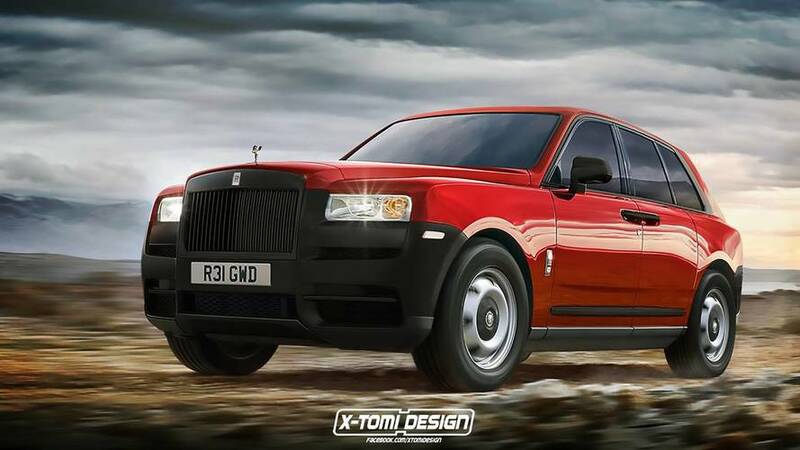 And the final rendering is a Cullinan pickup truck. It doesn’t look as polarizing as one would expect but considering the front end of the Cullinan is quite lone, the proportions would come down to bed length. Too short, and the whole thing will look stubby. Too long and the Cullinan pickup would look gangly and awkward. People would probably buy it. We’ve waited three years for the Cullinan to come to fruition – and now that it’s here we’re wondering what’s next. Are there other high-bodied Rolls-Royce vehicles coming? Only time will tell.